Support and be part of the making of the first true African epic movie "GRAVEYARD OF AN ANARCHY 1850 "
This is an Epic African Movie, culturally rich and clearly narrated in English language. It will be subtitled in ten different major dialects for global coverage. 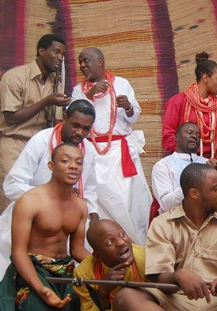 The film will be shot largely in Nigeria and partly in England, starting in summer 2015-2016. When completed, it will be premiered in major countries of the world. A large number of countries in Africa and beyond are well represented in the movie. Apart from the film generating economic benefit for the Nigeria film industry, we have no doubt it will most certainly be a huge success for admirers and researchers of the African continent. The movie will go back in time 1850, and will be shot at choice areas in western Nigeria. 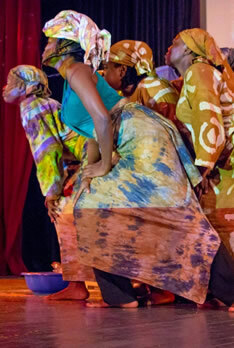 It will reflect an A-setting, in a rich African Kingdom with mixtures of modern vibes. The film will focus on bringing together new local talents and foreign cast ever assembled in an African epic film. The crew shall endeavor to meet the highest standard of film production, using state of the art equipment and manpower available to us. The plot is well narrated in the novel, the movie adaptation is expected to be terrific and will definitely achieve the interest of a wider global audience, unifying the world at this challenging clime, citing the need for peaceful co-existence among all, irrespective of color, religion and social background. It’s an opportunity for all Africans to correctly tell our story in our own voice, our own way, without prejudice. It is estimated that about a thousand new and talented actors and actresses will be featuredrandomly. The aim is to train and initiate everyone present at the audition into the world of creativity. Those with hidden talent in art will be spotted and assisted to blossom. They will be guided towards their very first correct step to stardom. The overall objective is to create quality pathway into Nollywood/Hollywood for these young talents, who will in the nearest future use their successes to inspire billions in the world. 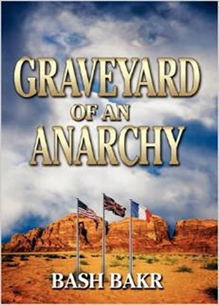 Graveyard of an Anarchy is a story of banishment and reclamation in pre-Independence Africa. Banished from his homeland by the Oracle while still in his cradle, the Crown Prince of Oodua was not selected by men, but by the gods of his ancestors. Though sovereign by right of birth and ancestral succession, Prince Ifashanu lacks experience on the Dark Continent. Lost in BritishEmpire, he was eventually fished out to serve the gods that rejected him at birth. But the shadow cast on him at childhood has not been driven out completely. Crown Prince Ifashanu soon finds his rule and life under attack. His only escape launches him into a romance that threatens to overwhelm his senses. Outside the throws of intense passion, a larger storm between the British and the French armies is looming. As these two colonizers struggle for control over the West Coast of the Atlantic, they threaten to engulf Ifashanu's kingdom and everything he holds dear. Extra:The film begins in Nigeria-Africa (Oodua Kingdom of Osun state), moved slightly to Ghana-Africa, then to England-Europe, back to Africa, and ends in England-Europe. Citizens of other nations also featured, such as, United States of America, Britain, Ghana, China, Egypt, India and more. Strong African tribes like the Zulu, Ashanti, Dinka featured. Others arealso presented or simply mentioned. The novel having received awards and slightly sold over fifty thousand copies in several countries outside Africa is projected to reach a wider audience of well over five hundred million viewers via motion picture. It will educate and entertain viewers of all ages around the globe. Based on reliable statistics, the quest for African films is on the rise daily. 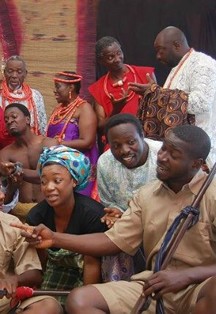 Sales and popularity of Nollywood films stands next to Hollywood productions as at August 2014. It can only get better with your support and trust. On completion, a limited theatrical release will follow in selected countries in Europe, Africa, Americas and Australia. Subsequently, top distributors in United Kingdom, Nigeria, South Africa, United States and Australia will commence work as at when due. The marketing mechanisms are in motion and will last till 2018 or more. Conventional media houses, social media network and prints will be fully engaged at intervals (pre-post production2015-2018). Tested marketers are in consultation and we encourage more marketers to come aboard for outstanding commercial result estimated at N5Billion Naira above. The fund raising goal for the film reaches N256million Naira. The overall budget stands at N396million Naira till date ($2.2Million Dollars). To achieve this goal (N256million Naira), letters of support had been written to prominent corporate establishments and government. The project is seeking sponsorship and brand placement globally. We continue to appeal for more partnership and technical input. With our current supporters who have fully registered their interest and commitment, we are assured of waived fees and deferred fees in many instances. Individual donations and grants geared towards educational and cultural integration of people of the world is paramount in our quest. Majorly, we trust that our dynamic crews of young and vibrant professionals who are ready to make their mark on the global stage despite the common challenges associated with film production in third world countries, will go all the way to succeed. We shall continue to appreciate individual and group participation around the world in order to accurately deliver this uniqueAfrican story to the viewing delight of our global audience. It’s a sure bet that when you give a Nigerian-African the slightest chance, he will succeed in that mission. The necessary logistics are in place, such as pre-production broadcast, meetings with key figures in the industry, meeting with Academics, visiting choice areas in western Nigeria. We are on social medianetwork, press conferences, handbills and posters are taking effect. Film plotting and Script writing is complete, selection and role distribution of known artistes in Nollywood and Britain is taking shape. The project will take in fresh actors and actresses in large number at random. We will update you through the media on every step till the end. On 8th May 2015, auditioning and training shall commence in batches for four weeks. We presently have provision to host/examine two thousand participants, only about a thousand will be selected into the Academy for the film. Applications will be treated on the basis of first come, first serve. This production is 80% fresh artistes and 20% known artistes. We are confident that by August/September 2015, movie adaptation of Graveyard of An Anarchy will begin in Osun state, Nigeria. And all things being equal, the film should be released between the summer and winter of 2016. Director Team Coordination: Hon. Habib Adewusi, born in Lagos-Nigeria and currently serve as house leader, Coker-Aguda L.C.D.A. He’s one of the founding members of Diamond Pen International. HonourableAdewusi annually organize book reading culture seminar, bringing young students together under one roof and encouraging them to imbibe the skill of writing and reading in their daily lives. 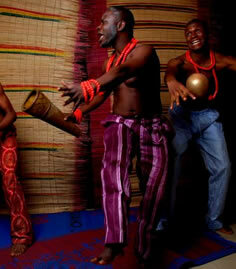 He’s well connected, and dedicated to the promotion of African tradition/culture among youths. Contact: movie@bashbakr.com. After filling out the application form, scan it and send it to eko@bashbakr.com . You can also submit your form physically at the contact address below. Your teller is your immediate receipt and should be well kept and brought along on audition day with a printed photocopy of your registration form (2pp photos required). Deadline: Entry/payment closes 1st May 2015. (Note: Entry/payment might close earlier than stated). Applicants will be selected into batches, A,B,C,D,E&F. For applicants in the south-west areas, Lagos, Ogun, Oyo, Osun, Ekiti, the following higher institutions will be considered, UNILAG, LASU and LASPOTECH, OAU, Egbeda and Ikorodu. Changes will be communicated by text messages or on our website. For applicants outside this zone, please call any of our numbers for special arrangement. Contact Address: 13/15 Karimu-laka Street, Egbeda, Lagos-Nigeria. Telephones: 08171101336, 08029944014, 08020838937, 08181595956. Publisher: Strategic Book Publishing Agency, United States of America. Film Supported by: The Executive Incorporation UK, Strategic Books Agency USA, Afro Films UK, Rockstand Digitals India, Eckleapse Communications Nigeria, Diamond Pen International and other corporate, persons and academic institutions. Primary Contact: 13/15 Karimulaka Street, Egbeda, Lagos. No 2, Whitman Street, Moston, Manchester, M9 4NY, Tel: 08171101336 (Bash), 08100837491 (Abayomi), 08181595956 (Sisi), 08179418796 (Sidiq). Email: anarchy@naija.net, adepoju4@gmail.com. Website: bashbakr/audition 2015.